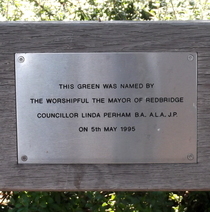 This green was named by the worshipful the Mayor of Redbridge Councillor Linda Perham B.A. A.L.A. J.P. on 5th May 1995. 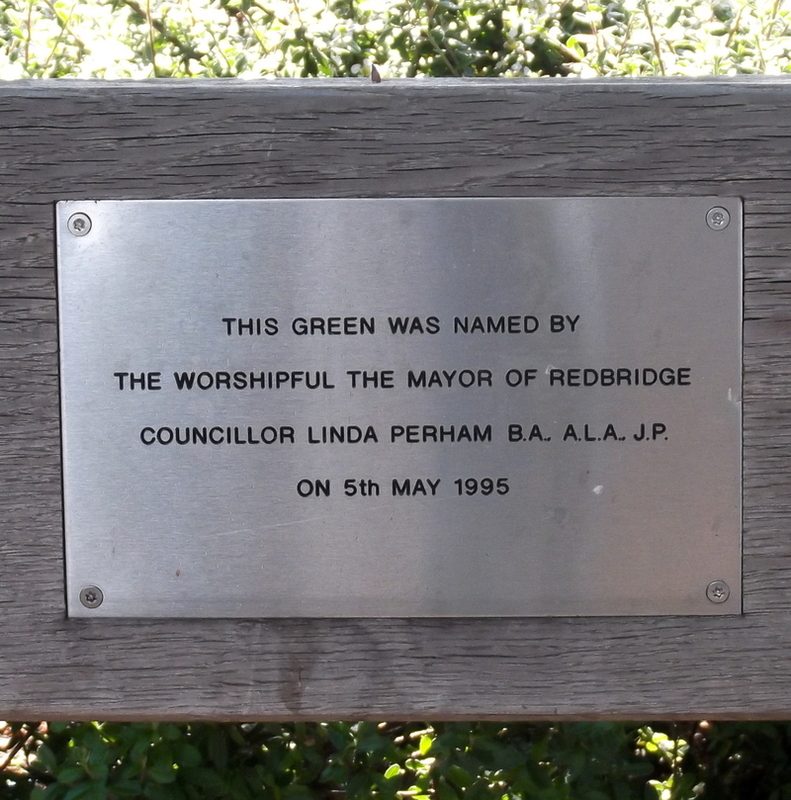 The mosaic on the path depicts the leaves of the different trees in the immediate area, with the text "Where We Live 2003" but it does not mention Pankhurst.